I am always looking for the next best thing when it comes to mascaras. Anything that lengthens, volumizes, and defines my dull-looking lashes is alright by me. 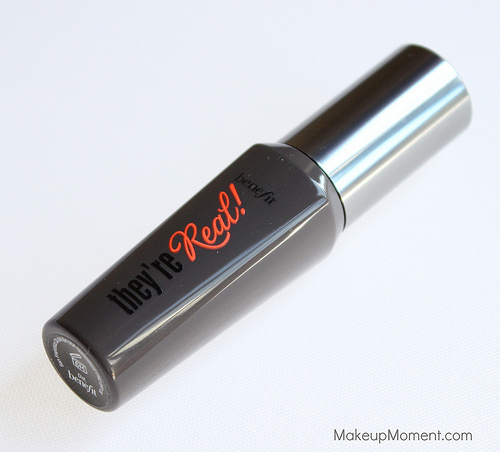 I got this mini tube of Benefit's They're Real Mascara ($10.00) back in November, when Sephora was having their fabulous black Friday sale. I have had a lot of time to properly test out this mascara so today, I am finally going to share my thoughts on it with you all. When I first tried Benefit's They're Real Mascara, I didn't exactly fall in love with it straight away. In fact, there was a point where I concluded that this mascara just wasn't for me. The formula was too wet for my liking, my lashes clumped up, and somehow I would always end up with mascara on my lids. I am sure you can all imagine how frustrating that can be. The brush was pretty neat, but I gotta admit, it took some getting used to. I put this mascara to the side for about a month or so, and when I went ahead and gave it another try, I was really pleased with what I experienced. The formula was much creamier so it was easier to work with, there was no clumping, and after a bit of practice the brush was much user-friendly. The bristles effortlessly separate my lashes, and the domed tip on the end is great for coating the lashes in the inner corners of the eye. After getting through the rough obstacles, I finally was able to see what this mascara is capable of. This gave my lashes beautiful length, definition, volume, and separation. Not only that, but I even got a little lift and a curl, to boot! They're Real feels fantastic on my lashes-very lightweight, not hard or crunchy. I usually stick with 2-3 coats of this stuff, as I find that to be satisfactory enough, but it does build up nicely. Applying this with soft strokes is what works best for me. I love how fluttery and wispy my lashes look with this mascara on. I am not sure if this gives me that false eyelash look but, I like to think that it comes close. Longevity is fantastic with this. 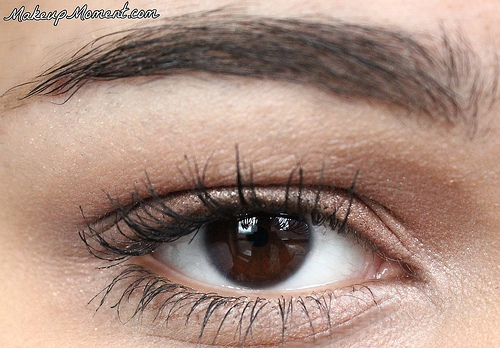 This mascara hangs on all day without smudging or flaking away. Removal is a breeze. A bit of eye makeup remover does the job in a pinch. 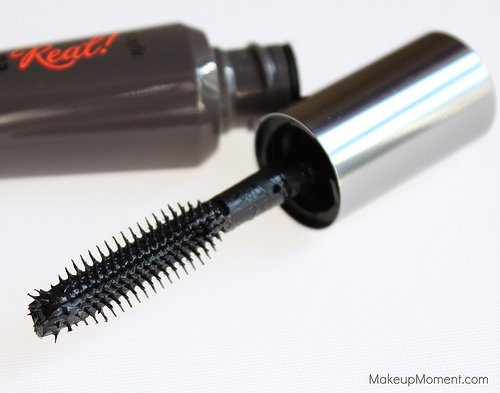 Overall: This is one of those mascaras that seems to work better with time. I am really glad that I didn't totally write off this mascara in the beginning because I have come to really love it. If you are looking for a mascara that lengthens, volumizes, and defines, Benefit's They're Real Mascara is one that I think is worth looking into. 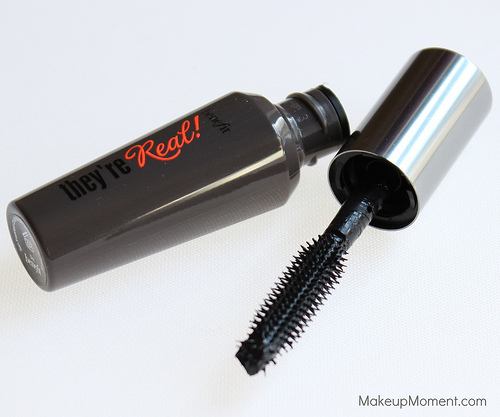 They're Real is one of the better department store mascaras that I have encountered, and I will definitely be repurchasing a full size tube once I am done using up this miniature one. 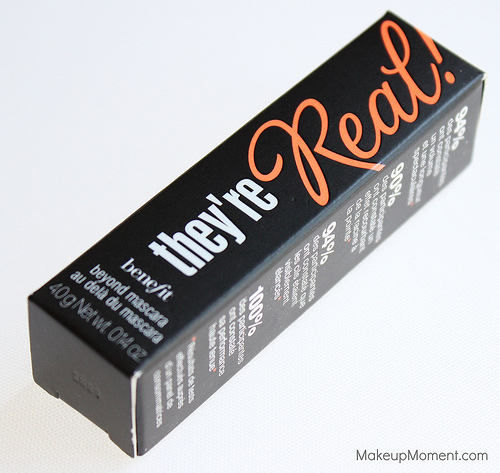 What do you all think of Benefit's They're Real Mascara? I totally understand what you mean. it's a good mascara tho.